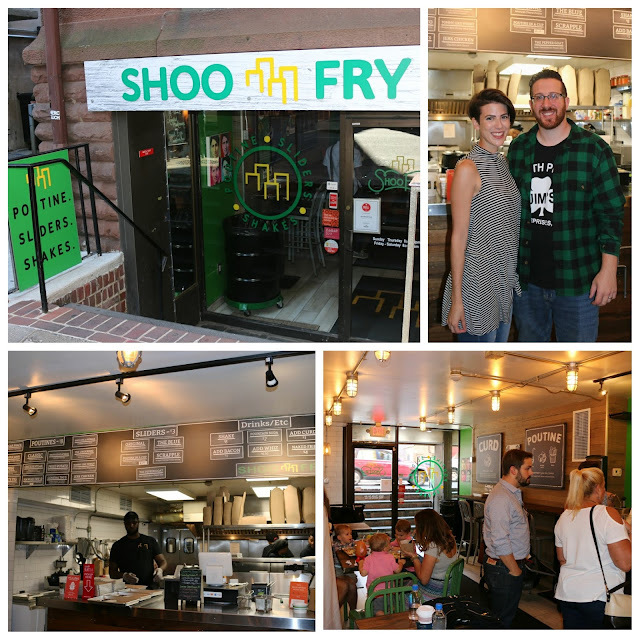 After traveling through Canada, Matt and Rachel Baida decided to share their passion for poutine with Philly. After a 6 month stint as King of Prussia pop-up, they decided to take over the previous Underdogs space with a permanent location in Rittenhouse. The craze for poutine has clearly taken off, so they've recently expanded with a second location in Fishtown. But that's not all that's been going on. They've also expanded their menu to include breakfast offerings. 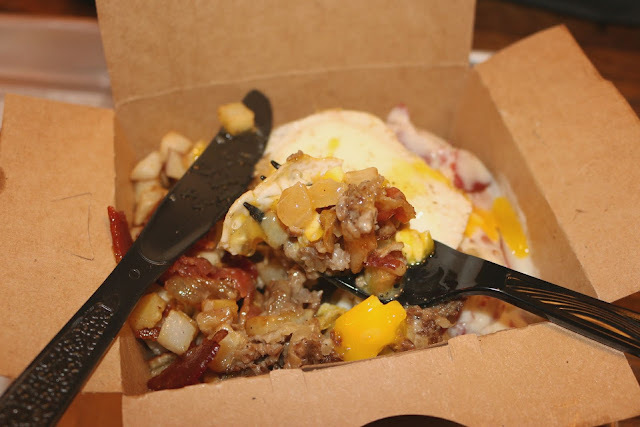 Think breakfast sliders and diced hash browns covered with all of your typical poutine fixings! With the exception of the Poutine in a Cup slider for $4, the rest are only $3! It doesn't get more Philly than with a scrapple slider. The thin patty was nicely crisp and redolent with porcine flavors. 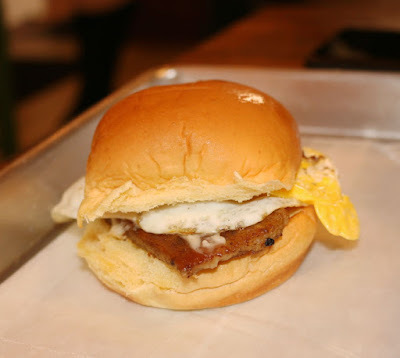 This melded well with the fried egg and cheddar. It's all housed in a soft, pillowy, potato roll. Just the right size and perfect for breakfast. Grab two or three of these to go! Looking for something more substantial? You know Shoo Fry's got great poutine. So expect the crisp texture of hash browns to soak up all of Shoo Fry's toppings. I tried a trio of the chipped beef, cheesesteak, and the Sugar Shack. The latter's a clear ode to Canada. Maple sugar shacks offer up sweet treats by dripping maple syrup into cold shaved ice. Shoo Fry's maple bacon melded sweet and savory flavors nicely, emanating a nice balance for breakfast. 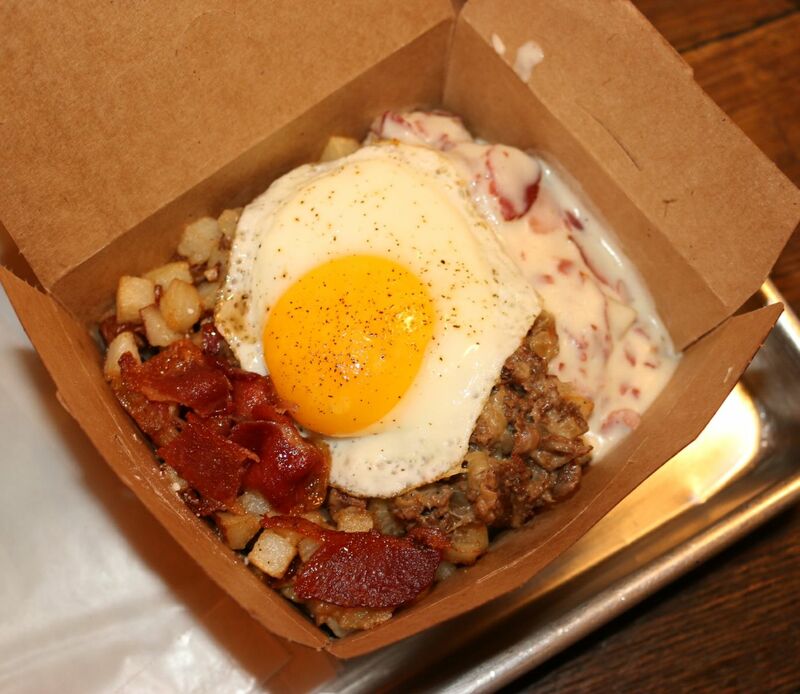 And obviously, everything's better with an egg on it. So stop by Shoo Fry and check out their new offerings. Satisfyingly satiating, Shoo Fry's breakfast menu will get you through the work week.